Starbuck CBC Tower Winnipeg, Manitoba 1,064 ft (324 m) ? The Tracy Thermal Generating Station has four 449 ft (137 m) stacks. There are two separate lists, once again one for free standing structures and one for guyed masts. This is because of incomplete information regarding the height and number of demolished guyed masts. 1 tie Smokestack 1 (Units 1-4) , Nanticoke Generating Station Nanticoke, Ontario 198 m/650 ft Smokestack Concrete 1972-2018 (demolished by explosives) Tied for the tallest freestanding structure demolished in Canada. 1 tie Smokestack 2 (Units 5-8) , Nanticoke Generating Station Nanticoke, Ontario 198 m/650 ft Smokestack Concrete 1974-2018 (demolished by explosives) Tied for the tallest freestanding structure demolished in Canada. 5 CFTO AM Transmitting Tower Toronto, Ontario 279 m/916 ft 1960-???? "Diagrams - SkyscraperPage.com". skyscraperpage.com. Retrieved 2015-10-09. "Database - SkyscraperPage.com". skyscraperpage.com. Retrieved 2015-10-09. "CTBUH Tall Building Database | The Skyscraper Center". buildingdb.ctbuh.org. Retrieved 2015-10-09. "Ontario Radio and TV Dial Guide - Michiguide.com Dials". michiguide.com. Retrieved 2015-10-09. ^ "CTBUH Tall Building Database | The Skyscraper Center". buildingdb.ctbuh.org. Retrieved 2015-10-09. ^ "[cdn-nucl-l] Wesleyville". Archived from the original on 2006-08-13. Retrieved 2015-10-09. ^ "Full text of "Emissions of sulphur oxides, particulates and trace elements in the Sudbury basin : Sudbury Environmental Study, SES 008/82 /"". archive.org. Retrieved 2015-10-09. ^ a b "Our History in Canada". vale.com. Retrieved 2015-10-09. ^ "Image: 180px-Copper_Cliff_Ontario.JPG, (180 × 135 px)". upload.wikimedia.org. Retrieved 2015-10-09. ^ "Detailed Facility Information - Reported Pollution Data Search - Environment Canada". ec.gc.ca. Retrieved 2015-10-09. ^ a b c "Detailed Facility Information - Reported Pollution Data Search - Environment Canada". ec.gc.ca. Retrieved 2015-10-09. ^ "FACILITY PROFILE – New Brunswick Power Corporation for the Belledune Thermal Generating Station" (PDF). 24 September 2014. Archived from the original (PDF) on 2016-03-04. Retrieved 2015-10-09. ^ "44 Charles Street West, Toronto | 112641 | EMPORIS". emporis.com. Retrieved 2015-10-09. ^ a b "St. James Cathedral, Toronto - SkyscraperPage.com". skyscraperpage.com. Retrieved 2015-10-09. ^ a b "Old City Hall, Toronto - SkyscraperPage.com". skyscraperpage.com. Retrieved 2015-10-09. ^ a b c d "Inco Triangle, Volume 25, Number 11" (PDF). February 1966. Retrieved 2015-10-09. ^ a b "Tour de la Banque Royale, Montreal - SkyscraperPage.com". skyscraperpage.com. Retrieved 2015-10-09. ^ a b "Fairmont Royal York Hotel, Toronto - SkyscraperPage.com". skyscraperpage.com. Retrieved 2015-10-09. ^ a b c "Inco Triangle, Volume 41, Number 11" (PDF). December 1981. Retrieved 2015-10-09. ^ a b "Varcon Inc. Consulting Engineers - Sample Projects". varcon.ca. Archived from the original on 2015-11-13. Retrieved 2015-10-09. ^ "Canadian Communications Foundation | Fondation des Communications Canadiennes". broadcasting-history.ca. Retrieved 2015-10-09. ^ "Newsletter - Trimline – The Urban DXér, Vol. 3, No.8" (PDF). 30 August 1999. Retrieved 2015-10-09. ^ "North East RadioWatch Special: Adieu, CBL". bostonradio.org. Retrieved 2015-10-09. ^ https://www.broadcasting-history.ca/listing_and_histories/television/cict-dt "600 foot tower" plus "70 foot antenna"
^ "Radio stations in Winnipeg, Manitoba, Canada — World Radio Map". Worldradiomap.com. Retrieved 2018-08-22. ^ a b "Radio stations in London, Ontario, Canada — World Radio Map". worldradiomap.com. Retrieved 2015-10-09. ^ "Radio stations in Regina, Saskatchewan, Canada — World Radio Map". worldradiomap.com. Retrieved 2015-10-09. ^ a b "Environment and Climate Change Canada - NPRI Data Search". www.ec.gc.ca. ^ "cdn-nucl-l Private Archives Authentication". mailman.mcmaster.ca. ^ a b "Environment and Climate Change Canada - NPRI Data Search". ec.gc.ca. ^ "Environment and Climate Change Canada - NPRI Data Search". www.ec.gc.ca. ^ Ozvacic, V. (28 May 1982). "Emissions of sulphur oxides, particulates and trace elements in the Sudbury basin : Sudbury Environmental Study, SES 008/82 /". Ontario Ministry of the Environment – via Internet Archive. ^ "Environment and Climate Change Canada - NPRI Data Search". ec.gc.ca. ^ "Our History in Canada". www.vale.com. ^ a b c d "Environment and Climate Change Canada - NPRI Data Search". www.ec.gc.ca. ^ a b c "Environment and Climate Change Canada - NPRI Data Search". www.ec.gc.ca. ^ "Ontario Power Generation - Lambton Generating Station". www.opg.com. ^ "Inco Triangle" (PDF). Retrieved 2018-08-22. ^ a b "Inco Triangle" (PDF). Retrieved 2018-08-22. ^ a b c Canada, Government of Canada, Transportation Safety Board of. "Aviation Investigation Report A94A0078". www.tsb.gc.ca. ^ "6" (PDF). Retrieved 2018-08-22. ^ a b Craggs, Samantha (28 February 2018). "Watch as OPG demolishes 2 huge smokestacks at the Nanticoke generating station". CBC Hamiltion. Retrieved 1 March 2018. ^ "Demolition and Blast Consulting Ontario - DST Consulting Engineers". www.dstgroup.com. ^ "Inco Triangle, Volume 32, Number 11" (PDF). November 1972. Retrieved 2015-10-09. ^ "Legal update: Ontario Court of Appeal overturns trial decision in Smith v Inco" (PDF). 13 October 2011. Retrieved 2015-10-09. ^ "Inco Triangle, Volume 53, Number 5" (PDF). August 1994. Retrieved 2015-10-09. ^ "Dykon Demolition Project List by liaoxiuli2". docstoc.com. Retrieved 2015-10-09. ^ "Inco Triangle, Volume 32, Number 2" (PDF). February 1972. Retrieved 2015-10-09. ^ "Thunder Bay Generating Station Condensing Unit, Thunder Bay - SkyscraperPage.com". skyscraperpage.com. Retrieved 2015-10-09. ^ "Explotech - A Global Leader in the Blast Control Industry". explotech.com. Retrieved 2015-10-09. ^ "PROJECT LIST EXPLOSIVE DEMOLITION SMOKESTACKS". dykon-blasting.com. Retrieved 2015-10-09. ^ "Demolition News » Ford to demolish 300-foot paint stack…". demolitionnews.com. Retrieved 2015-10-09. ^ a b "Image: hwy401-80_lg.jpg, (845 × 570 px)". 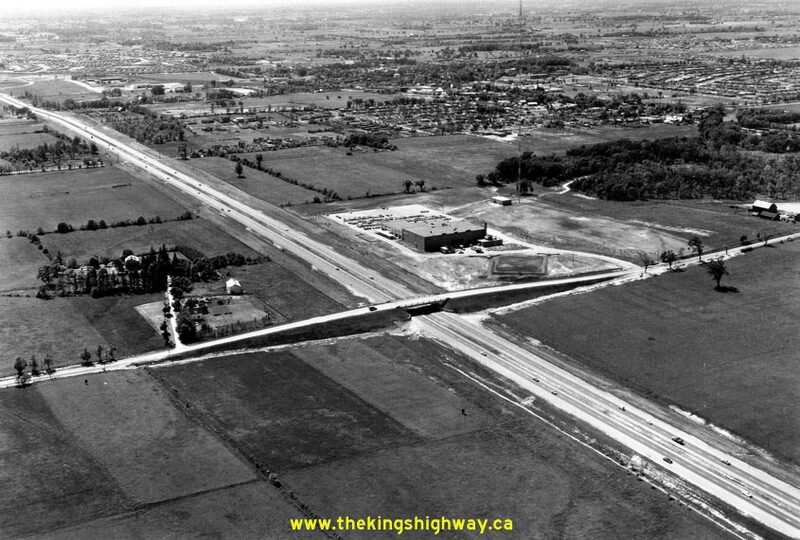 thekingshighway.ca. Archived from the original on 2016-03-03. Retrieved 2015-10-09.